The initial major work is expected to be near the Beltway and Chain Bridge Road in Fairfax County, and near U.S. Route 29 in Prince William County. The 2 toll lanes in each direction are due to open by the end of 2022. WASHINGTON — The first major construction work on Interstate 66 toll lanes between the Capital Beltway and Gainesville, Virginia, is set to begin as soon as this weekend, kicking off four years of construction lane shifts, closures and delays. The Virginia Department of Transportation and the private companies set to build and operate the lanes under a decades-long deal expect to confirm the start date for major construction this week. Initial survey and related preliminary work has been underway for months. During construction, four lanes are supposed to remain open during rush hour, but the red “X” shoulder lanes will be eliminated this spring and will not return. 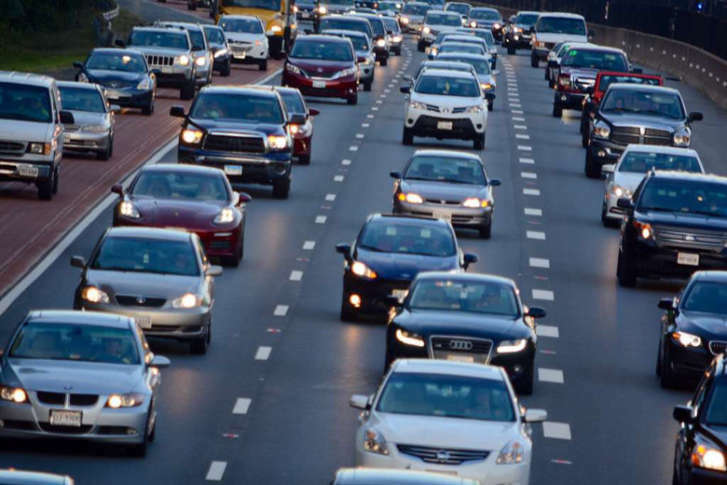 The initial major work on the toll lanes is expected to be near the Beltway and Chain Bridge Road in Fairfax County, and near U.S. Route 29 in Prince William County. Early work will also include lane shifts or closures on Virginia Route 28 north of I-66, where widening and interchange work has been folded into the I-66 project. In May, work zone areas are due to extend to include more of the corridor, including stretches of I-66 around U.S. 50 and between Virginia Route 28 and Bull Run Drive in Fairfax County. The two toll lanes in each direction, similar to the I-495 Express Lanes, are due to open by the end of 2022. Drivers will be able to ride free with a total of three or more people in the car and an E-ZPass Flex in HOV mode; motorcycles and buses will ride free, too. Other cars and trucks will pay a toll that rises and falls based on the amount of traffic in the lanes. The HOV or toll rules will apply 24/7, but regular lanes next to the toll lanes will always remain an option. Inside the Beltway, the rules are different for the rush-hour only HOV or toll restrictions. The inside-the-Beltway lanes are scheduled to change from a free ride with at least two total people in the car today to a requirement of three or more people for a free ride when the toll lanes outside the Beltway open. The private companies building and operating the lanes outside the Beltway under a decades-long deal with Virginia are funding that project and will collect the toll revenue. The companies are required to pay the state set amounts from the toll revenues to fund some buses and park-and-ride options for commuters who want to avoid paying the tolls. Some park-and-ride construction has been incorporated into the overall project.